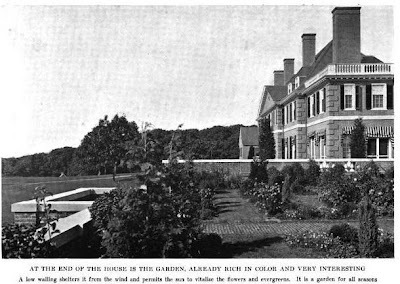 'Ballyshear', the estate of Charles B. Macdonald built by F. Burrall Hoffman Jr. c. 1913 inSouthampton. Click HERE to see the brochure from when 'Ballyshear' was for sale. Hey Zach, love this post, as always, but just want to let you know that the first photo is not of Ballyshear, but of High Lawn, the W.B. Osgood Field house at Lenox, Massachusetts, designed by Delano & Aldrich. Whoops, not sure how that wound up in there. Thanks! No need to apologize, retract, etc. The first photo is indeed Ballyshear. It is the illustration on pg. 186 in the section describing 'Mr. C.B. 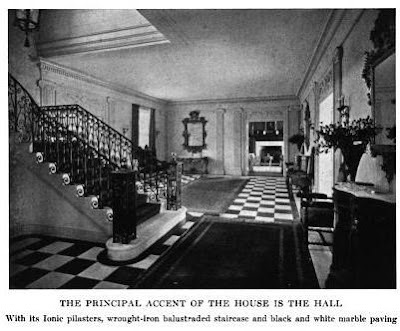 Macdonald's Home, Southampton, L.I.' (pgs. 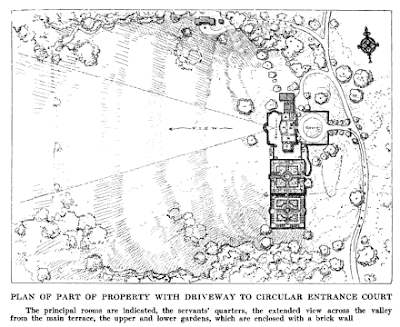 184-191) of Samuel Howe's "American Country Houses of To-day" per your citation. The following section describes 'Mr. W.B. 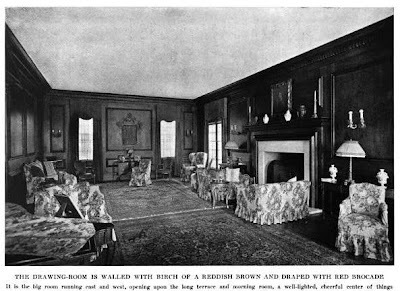 Osgood Field's Home, Lenox, Mass.' (pgs. 192-197). Interesting that these original interior images are very similar to the Sales Brochure photos. However, there is definitely a marked difference in the exteriors. The tree and shrub growth in the gardens along with the vines covering the first floor really enhance the home's appearance. In the first photo, the house looks very new! LOL, anonymous, that's because Zach, ever on the ball, immediately took down the picture of the equally handsome Osgood Field house. It is amazing to see a house in Southampton so surrounded by land, even if not the original 200 acres...maybe conservation easements?